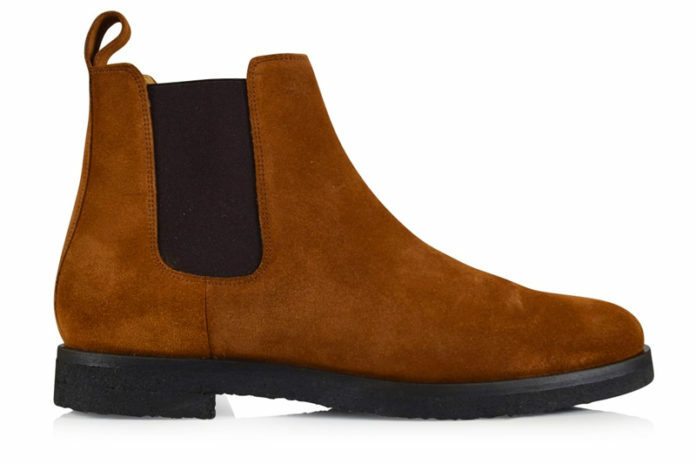 Originally priced at $228, you can score the Frye Seth Suede Chelsea Boot at an absolute bargain for less than $80. 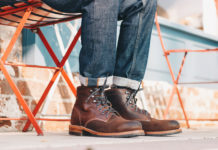 It features a buttery suede upper and comes equipped with a comfortable lightly padded footbed, durable stitched welt midsole and a grip sole for traction. 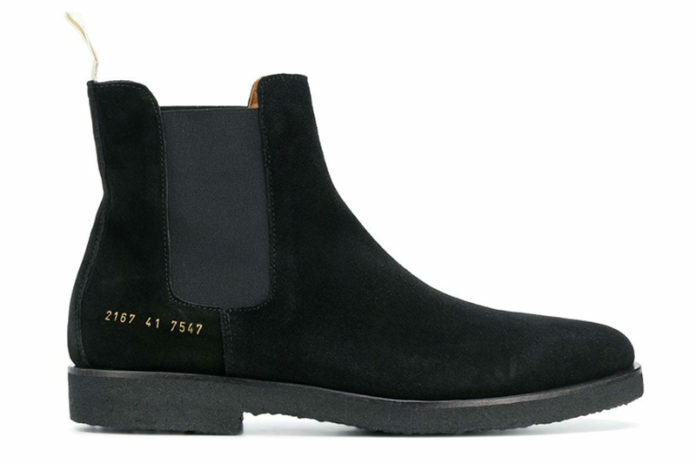 While it’ll look great on foot with your favorite pair of jeans, it’s not your average sub-$100 Chelsea Boot, the value definitely outweighs the price. Click here to purchase. Nailing the classic Chelsea Boot look, ETQ’s version comes in beautiful tobacco suede with a contrasting black crepe sole. The rest of the boot sports leather lining on the interior, a heel pull tab to slip in and out of and black elasticated panels. 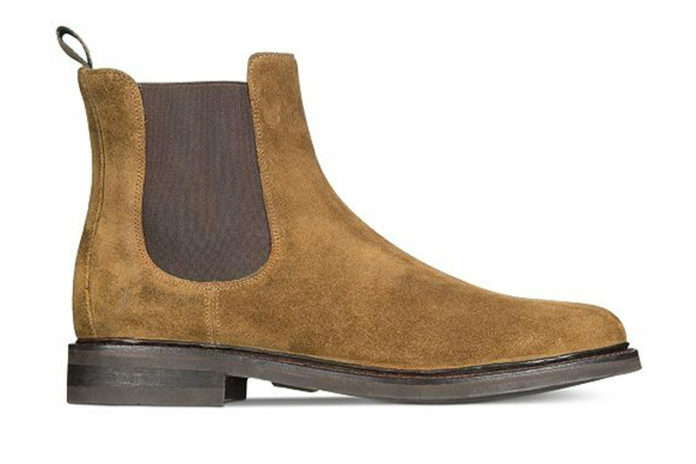 A shade under $300, ETQ’s Chelsea Boot might set you back a bit but you’ll definitely get plenty of wear out of them. Available now at END. Quite frankly our absolute favorite color for a Chelsea Boot, French-label Vespa puts their spin on this iconic silhouette. Beginning with sand suede on the upper, Vespa adds gold foil branding, while keeping the rest of the boot traditional including a leather insole and crepe sole. Click here to get your pair. 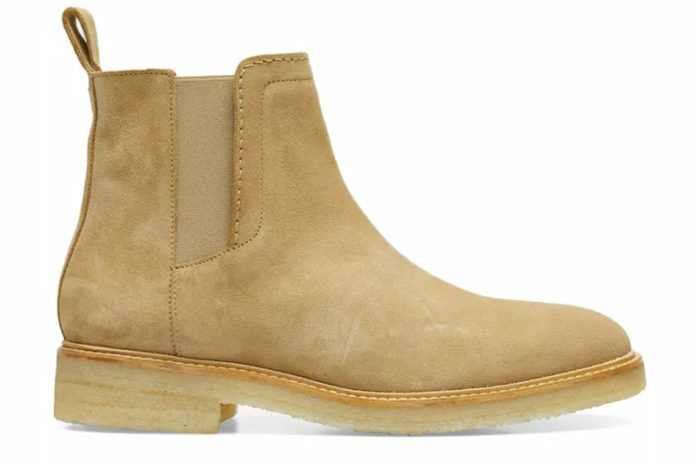 While Common Projects might not have been the first brand to release a pair of the Chelsea Boots, they’re definitely responsible for making the style as popular as it is today. That’s due to the fact for their simple take on the design that’s highlighted by their signature gold foil stamp, which differentiates themselves from other brands. This particular version comes in all black with brown leather lining and a rubber sole. 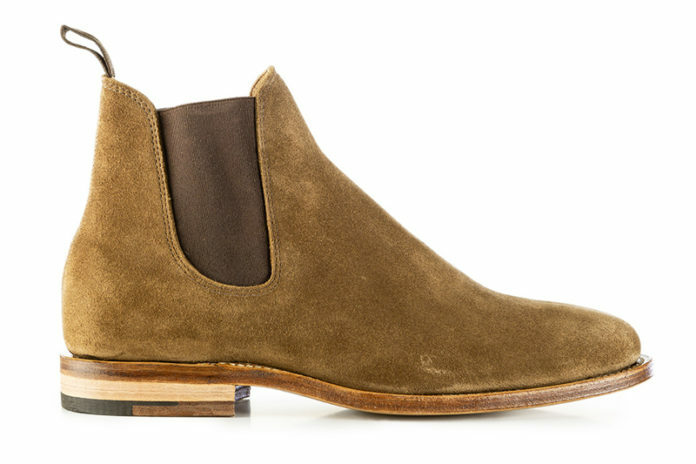 While traditionally priced over $500, you can score this pair for a bit less at Farfetch. 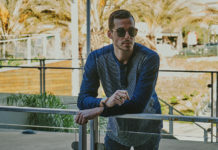 Rounding out our list is a brand most readers will be familiar with and often considered to one of the premier brands out there. Viberg’s take on the Chelsea Boot includes plush calf suede on the upper, a leather sole and Goodyear Welt construction so that you can re-sole your shoes in the case of too much wear. If these boots are like any of their other models, they’ll be well worth the investment. Check them out here.